If you have purchased a Google Home or any of Amazon's products with Alexa on-board, chances are that you are itching to add more connected devices to your residence that can be controlled with your voice. If that's the case, then a smart thermostat, like the 3rd Gen Nest Learning Thermostat, should definitely be on your shopping list. Particularly since you can pick one up for 15 percent off at Target this week. 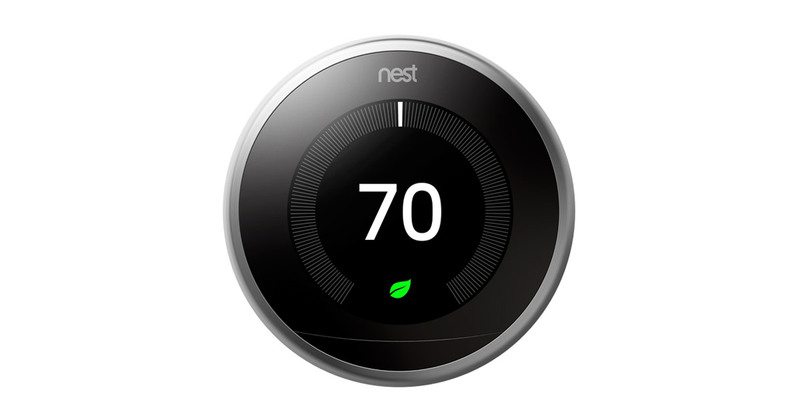 Getting the discount is simple, just plop the Nest Thermostat in your cart, head to checkout, and enter the code NEST. You don't even need to copy and paste the code, it's that easy to remember. Applying the code will reduce the price to $211.65, about $37 off the normal price of $249. If you happen to have a Target Red Card, you'll save an additional five percent off the discounted price, just make sure to use your Red Card as your payment method. Target will also ship your Nest for free, which makes the deal just that much sweeter. Be sure to also check with your local power company, many utility companies across the country offer rebates for adding a smart thermostat to your home. The discount is good through the 25th and applies to all the other Nest products that Target carries as well, including the Nest Security Camera, Nest 2nd Gen Smoke Detector, and Nest Cam Outdoor. With my wife expecting our third child, I think I might go on a bit of a smart home tech shopping spree, I'll just tell her that I'm nesting.